The Hillary Clinton campaign is building on President Obama’s efforts in 2012 to create an edge over Donald Trump by using data mining to influence voters and affect the course of the presidential election. 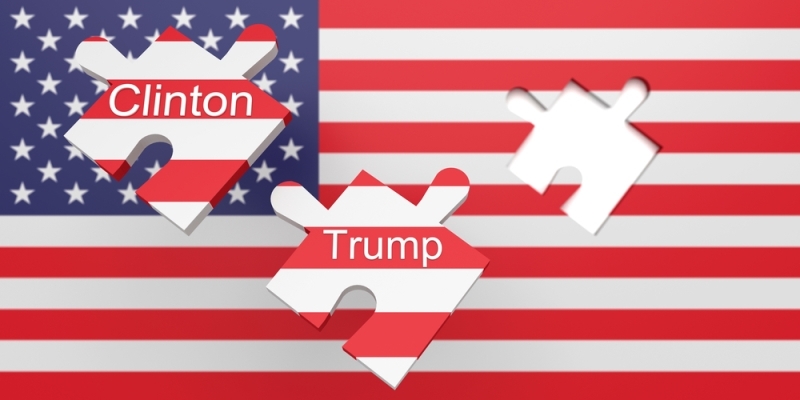 Data mining can target individuals and tailor political advertisements to show voters what they’ll most likely want to hear about. For example, a woman with children who has voted Republican in the past will most likely have different political interests than a retired man who doesn’t have children and has rarely voted, according to Meta Brown, data analytics consultant. “Perhaps the mother would hear the candidate’s position on school funding, while the retiree would hear about Medicare,” Brown said. The campaign that is most likely to benefit the most from data analytics is the one that plans to invest the most resources into using that information effectively, according to Brown. In 2012, the Obama campaign was able to identify Democratic voters in every city, which enabled them to target ads to critical voters in swing states such as Virginia, Florida, and Ohio. “One thing that was particularly interesting and unique about the 2012 campaign was its use of television viewing data to make highly specific and cost-effective advertising purchases,” Brown said. The Democratic Clinton campaign uses data analytics to develop messages, raise money, and decide what markets to buy ads in and where to place staff. The Clinton campaign is taking Obama’s work even further by using SMS tools like Hustle, which allows supporters to have personalized text conversations with staffers. This technique was originally used in Sen. Bernie Sanders’ primary campaign. The Clinton campaign is also using data analytics to target Republican voters by releasing ads with Republicans condemning Trump. After the Republican Party lost to Obama in 2012, the party has also amped up its data mining efforts, even though Trump has dismissed the role of technology in the election. Trump’s data analytics team encompasses a floor of a San Antonio office building and more analysts are being hired to assist in the general election. Clinton’s team is centered in Brooklyn, N.Y., where data analysts are expected to create models for voter behavior, build methods to optimize fundraising, control experiments across campaign channels, create surveys, advise the campaign on how to distribute resources effectively, and mine text data to help the campaign communicate with voters. The campaign uses the analysts’ work to affect every aspect of its decision-making process. Any campaign can obtain basic voter data because information like voter registration and what elections individuals vote in is open to the public. “In this election cycle, candidates of both the Republican and Democratic parties have access to enhanced voter data that has been nicely organized and supplemented with information from surveys and other sources,” Brown said. Sophisticated data analytics would help candidates, but no amount of ads will sell voters on a candidate or issue they don’t agree with, according to Brown.